Has your vehicle been damaged by falling trees, debris, wind, water, hail, sleet or snow? Frisco Paint & Body, Inc. is here to help when Texas weather strikes. We provide fast assistance to get your repair processed when storms hit. Don't wait, Call Us Today! When a hail storm hits, avoiding the damage is nearly impossible. However, repairing the hail damage is quick and easy with Frisco Paint & Body, Inc.'s hail damage repair process. For over 40 years, The Molinar family has been proudly servicing residential customers throughout Texas. Located in Frisco, Texas, We are proud to offer our hail damage repair services to customers in Frisco, Plano, Dallas, Lewisville and the surrounding area. We specialize in repairing vehicles that have been struck with hail. 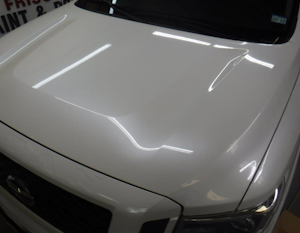 If your vehicle has been damaged by hail you can be rest assured knowing that our experts have the experience and technology to get your vehicle back to its pre-damaged condition. Your satisfaction is 100% guaranteed and comes with a written limited lifetime warranty. 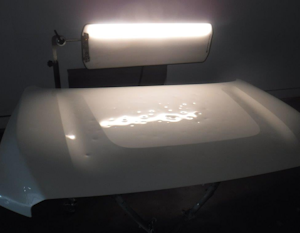 Our technicians receive ongoing training that allows them to use the latest innovative methods in vehicle hail damage repair. I've Been Hit with Hail, Now What? When hail hits, we are ready to restore your vehicle to its pre-storm condition with our industry-leading hail damage repairs. Contact your auto insurance provider to see if the hail damage repair is covered in your policy. Different insurance companies handle hail claims differently. Follow up with your agent if you do not know where to start the claim process. Get your vehicles damage appraised either through your insurance agencies claim drive, field inspection. Clean the exterior of your vehicle to ensure that the best estimate can be given. If we are writing your estimate our customer care center will assist you in getting an appointment scheduled. can be contacted at 972-335-3515. Schedule your repair with us. Depending on the severity of the storm and the damage on your vehicle, repair times can vary. Whether you live in Frisco, Plano, Dallas, Lewisville or the surrounding area....severe storms will affect us all at some point in time. Frisco Paint & Body, Inc. are here to help with vehicle damage caused by hail storms or minor accidents. We understand the considerable investment that many people have in their vehicle and offer expert services designed to restore your prized possession to its original condition. If you have any questions or we can assist you in any way, please contact us at 972-335-3515.